There are many services ACTS cover which will keep your business running smoothly. 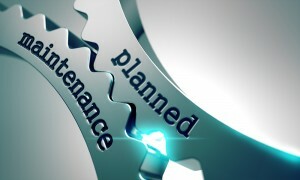 The first of these is Reactive Maintenance, meaning if something has broken and needs repairing, we will be called out after the event. This service is invaluable to our customers. Take one of our biggest clients for example, a jewellery brand which distributes in over 90 countries. Imagine it’s the weekend before Christmas and a member of staff notices a burst pipe. The queue is already out the door with security guards implementing a one-in one-out police. 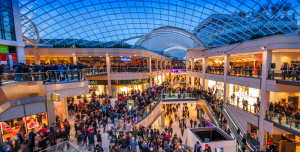 The last thing they want at such a critical shopping time is a flood in the store. This could result in a customer evacuation and loss of all-important sales. Or worse, what if stock is ruined or a customer drowns?! The store also has a reputation to uphold. With brand loyalty tested, will customers hold out until the problem is fixed or buckle and go elsewhere? Will they prefer elsewhere and never come back? And don’t even mention that boyfriend over there who doesn’t have a plan B; how will a box of chocolates compare to that charm with a crab on it his missus wanted? (She’s really into her star signs). In a technological age when a negative review can traverse continents in moments, the most powerful threat to companies is word of mouth. It only takes one slanderous Tweet written in England for that customer’s relative in Australia to question their own relationship with the brand. Without ACTS, staff might have wasted valuable time scouring the Yellow Pages for a plumber with the most visually pleasing ad, who had been disturbed from his own Christmas shopping thank you very much and would be there once he’d bought his wife a hoover. For the price the management could have spent on an hour of our employees’ time, they will have made a bombastic loss. They want peace of mind that in the event of an imminent disaster – plumbing or otherwise – they can make a discreet phone call and know that someone will be there soon to save the day. All our plumbers will have passed an A.C.O.P.S Qualification, meaning management can sleep easy knowing the best in the business are tending to their store. 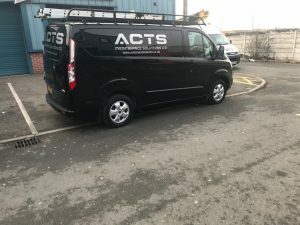 Get in touch to see how ACTS Maintenance can help your business today.